There are countless puzzle-platformer games on the Xbox Live Arcade. Many of the best titles available on the service are in said genre, such as Braid and Limbo. The latest one to be released is Max: The Curse of Brotherhood (a sequel to mobile game, Max and the Magic Marker), in which you control the eponymous hero, in a quest to save his kid brother Felix, from the evil Lord Mustacho. After Felix breaks Max's toys, Max wants revenge, so in a fit of anger, he searches the internet for a curse to get rid of him, which unfortunately works. Is the resulting adventure a memorable one? Read on to find out. After Felix is dragged through a portal by some dark evil, Max instinctually jumps in to rescue him. On the other side is a strange world, full of weird creatures and powerful magic, and a curious old woman willing to help Max on his quest by giving him magic abilities. The only object Max had with him was a magic marker, so it gains the ability to control elements of the environment. 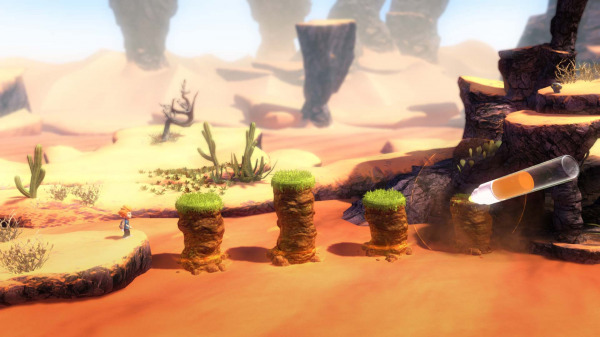 You start off being able to raise rock pillars from the ground, but as you progress through the game you upgrade the magic marker, allowing you to create trees, vines and more. The environment control makes for some awesome puzzles, which are for the most part relatively easy. Some of them take a few deaths to figure out, which can be annoying if the last checkpoint was quite a distance back. Aside from the puzzles, you'll mainly be tasked with running, jumping and climbing through the world. There are a handful of really impressive chase sequences, which usually incorporate a slow-motion section. For example, you could be sliding down a steep path, fall off of the end, and as Max plummets towards the earth in super slow-mo, you have to quickly draw a vine to grab or tree branch to land on. There are a few instances of this, and each one is incredibly cinematic and satisfying. The visuals in Max: TCoB are some of the best that the Xbox Live Arcade has seen. The character models are stylised in a cartoony way, and the detail on them is fantastic. There are many different environments, from lava-filled caves to swampy marshland to lush forests, and each one is a treat for the eyes, with vivid colours and gorgeous vistas. The physics are also top notch, even on a small level. The larger a branch is, the heavier it is, so it droops down, making branches a puzzle in themselves. Max moves quickly and fluently, and it's easy to get used to controlling the little guy. There were quite a few instances where if you hold the jump button just a little bit too long when grabbing vines, Max would instantly jump straight off, often to his death. It's not the biggest issue but it's definitely annoying. 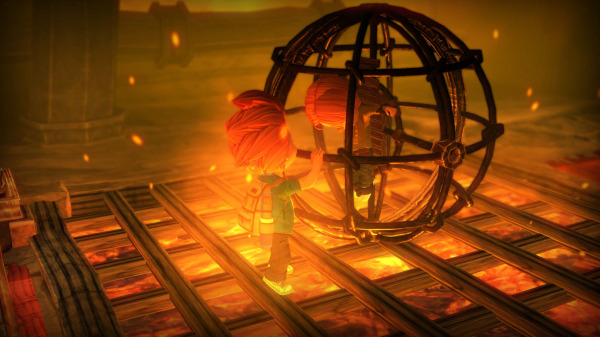 Max: The Curse of Brotherhood is a must-have title. Great, fluent gameplay, challenging (but not overly so) puzzles and a fun storyline make it a memorable title. Imagine a more cinematic, colourful and light-hearted Limbo, and you'll get the idea. You should absolutely try the trial, and I'd be surprised if it didn't make you want the full game.